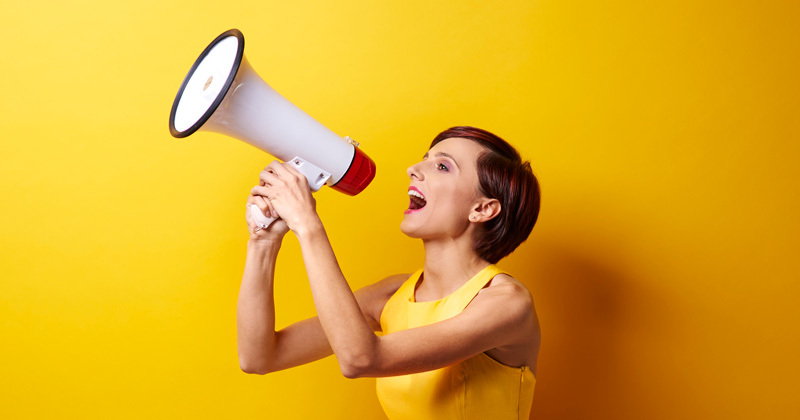 School staff have been warned they must “act appropriately” when expressing political views, and should not use school resources for “party political purposes” in new government advice published today. The Department for Education has reissued its staffing and employment advice for schools, with an updated section including a warning for teachers and heads about politics. The new advice has led to accusations from Labour that the government is trying to silence teachers. The reason behind the update is not clear, but it follows criticism of headteachers’ conduct during last year’s general election, which saw thousands of leaders write to parents over the state of school funding. 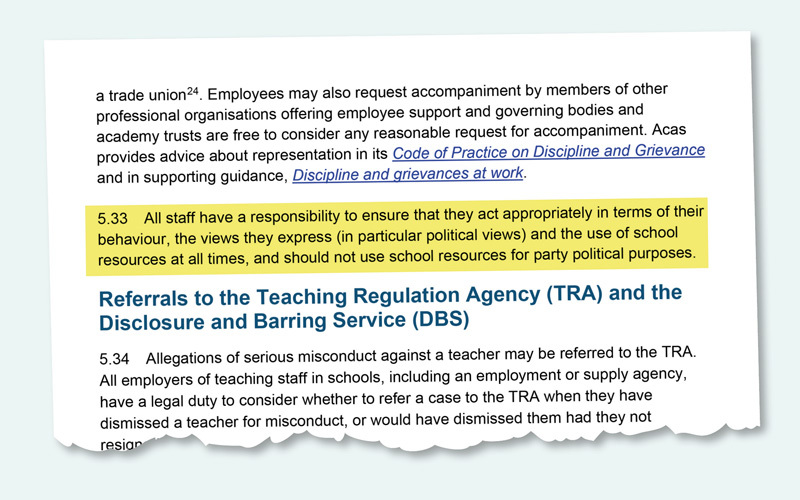 The new paragraph in the guidance stipulates that “all staff have a responsibility to ensure that they act appropriately in terms of their behaviour, the views they express (in particular political views)”. It goes on to say that staff must also be appropriate in their use of school resources, and “should not use school resources for party political purposes”. The school cuts campaign, coordinated by a coalition of education and support staff unions, was extremely active in the run-up to last year’s poll. As a result of the increased focus on school funding and controversial policies like the move to scrap universal infant free school meals, education became the third most important issue on the doorstep. Organisers of the campaign, which also ran a popular website which used government figures to tell parents how much their local school stood to lose in funding, claim it helped change the minds of 795,000 voters. But some politicians were highly critical of the role headteachers played in the campaign, particularly after it was revealed that thousands of heads had written to parents about funding during the election, some using “official letterheads and Twitter accounts”. The funding campaign was supported by Labour, Liberal Democrat and Green politicians, and forced Conservative MPs to criticise their own government. It was seen as instrumental in securing an additional £1.3 billion in funding for schools, announced by former education secretary Justine Greening last summer. Even Edward Timpson, the former children’s minister who lost his seat to a school funding campaigner, was mocked for claiming to fight school cuts despite working in the very department that enacted them. 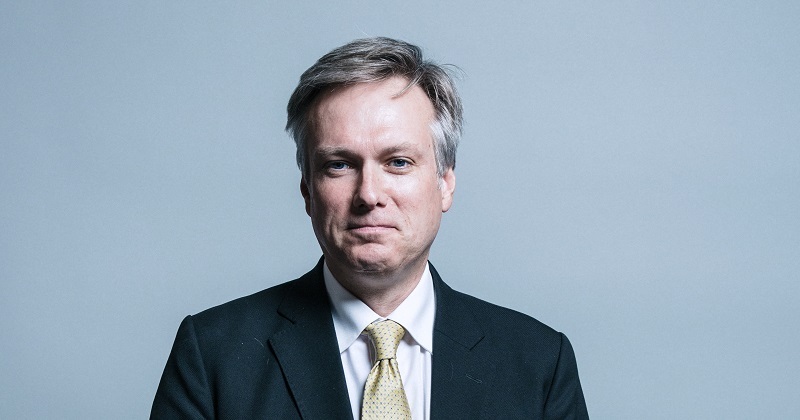 However Conservative MP Henry Smith, a former aide to Greening, said shortly after the election that the use of letters and twitter accounts by headteachers was “unacceptable”. “It’s largely driven by some of the personal political opinions of some heads and teachers rather than the facts,” he told the Daily Mail. “To be engaging in the party political fray using official letterheads and Twitter accounts is unacceptable. It is a source of considerable concern and would have had an influence among some voters. 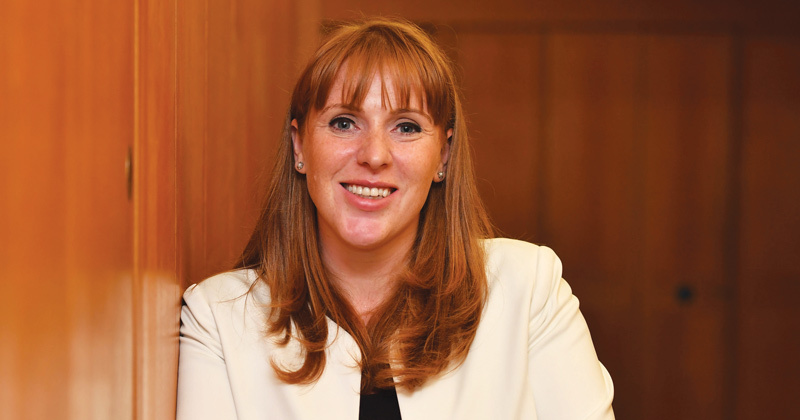 Angela Rayner, the shadow education secretary, accused the government of “trying to ban teachers from whistleblowing when schools cuts bite into our children’s education”. “They may hope to silence teachers but they can’t get away from the fact that they will have cut £3 billion from school budgets by 2020. A spokesperson for the DfE said the update was done to bring the advice into line with a legal requirement that heads must not promote party political views in their schools. “We regularly update guidance to make sure it is accurate and schools can deal with staffing issues correctly,” the spokesperson said. The 1996 education act states that governors, councils and heads must “forbid the promotion of partisan political views in the teaching of any subject in the school”. However, it does not prevent school staff from expressing political views outside the classroom.